Among the top working timbaleros on the Latin/jazz scene, Edgardo Cintron has joined with his Azuca Band to release a CD that exquisitely merges the two musics while remaining true to the soul of both traditions. From Fathers to Sons: Old School Clave packs plenty of punch with an eleven-piece orchestra that swings as well as salsas, and features a rhythm section that doesn’t let up. A mix of ballads, standards and exceedingly danceable salsa, the session is heavy on the latter. The oft-presented “Ojos Verdes” is given a touching ballad treatment here with appropriately demure muted trumpet and delicious vocals. Strayhorn’s “A Train” flys off the tracks to Puerto Rico and then spends “A Night in Tunisia,” where Dizzy’s classic is made even worldlier with a fresh infusion of Latin rhythm. Salsa rules on the fiery “Bilongo.” “Family,” the session’s thematic piece, is an achingly smooth paean to past, present and future. 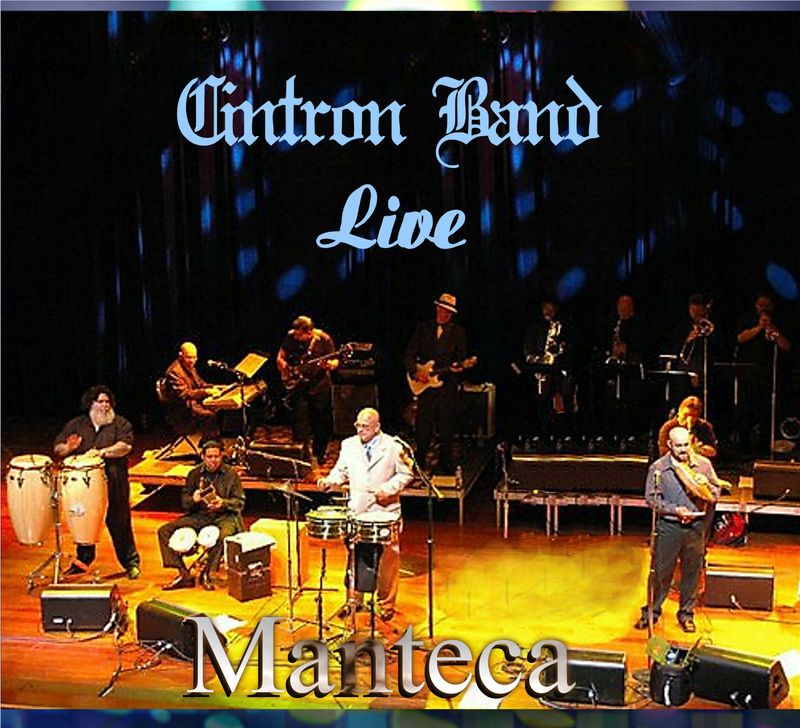 Based in New Jersey, Cintron and the Azuca Band are well known among fans of the Cape May Jazz Festivals and for their multiple appearances at Connecticut’s Mohegan Sun Casino. With this release they show they are up to the standards of the top Latin/jazz bands in the country. In the tradition of Puente, Palmieri and Barretto, Cintron doesn’t sacrifice the rhythm while giving his musicians plenty of room to solo and explore. Of Puerto Rican origin the percussionista Edgardo Cintron gia' was known like Director of the Orchestra “Tiempo Noventa”. With this new formation, based in New Jersey, Edgardo introduces a cd of Latin jazz (with dance accents) ripresentando important “standards” of the past. Beginning from the Latin/sauce “Azuca” it is continued with chacha “the Guantanamera” that e' occasion for a musical homage to the “Reina” Celia Cruz: emphasized the fresh and innovative agreement e' from the bugle of Angel Velez and sax of Bill the Murray. “To train” famous brano jazz of the pianista Bill Strayhorns (here to the plan e' David Colon), two beautiful Latin/sauce (by now the most famous “Bilongo” and “China-Tumbao y bongo”), “Ojos verdes, “Picadillo”, “Cochero”, the bolero - composed from Willie Murray -” Family' and still a brano of Latin jazz: “To night in Tunisia” classic of Dizzy Gillespie; in order to close with two Guajira: “Vamonos Guajira” (beautiful the assoli of bugle!) and “Vamonos pal mount” that closes the album of the duration total of an hour. This cd - arranged and interpreted in the tradition “old school” of the Big band of Puente, Palmieri and Barretto he is ascoltabile on biographical ulterior www.vinilemania.net that filler also info. The brani sing to you very are intrepretati from the voice of the solista David Colon. Edgardo A. Cintron & The Azuca Band serve up a heaping portion of treasured favorites with their most recent release, From Fathers To Sons - Old School Clave. From the very first time I heard their interpretation of "Suavecito", I immediately entered my own past (musically), to a time back in the days of my own unfolding as a teenager, living in San Francisco and being surrounded by great bands such as Tower of Power, Santana, Malo and the likes. This was "home" for me! Born in 1958 to Puerto Rican parents, Edgardo was exposed to music from a very early age. In 1962 his father Pablo, moved them from Fort Riley, to the East Coast. It was here that "dad", who was a musician in his own right, (guitarist) was able to perform along with greats like Tito Puente, Charlie Parker & Carlos Santana. At the ripe age of 12, Edgardo was playing with in his father's band along dad as percussionist, traveling, and being exposed to renown musicians such as Yomo Toro and more. From Fathers To Sons - Old School Clave represents the gifts we leave behind, the lessons learned, the culture lived, the love felt and so much more. It was Edgardo's own father who tutored him musically, with guitar, French horn and percussion. The essence of "From Fathers To Sons". The cd in its entirety can be view as "Old School" and the "Clave" is pretty much self explanatory. I simply loved every single track on this album. From the first interpretation of "Azuca" to the jammin' "Vamonos Pa' Monte", From Fathers to Sons - Old School Clave has it all, the heartfelt romance in "Ojos Verdes" (aka: "Tus Ojos"), simply oozes with perfection, the jazzy A-Train will literally have you on the floor hoping it's an extended track, you definitely want more of this! Additional tracks include favorites such as Bilongo, Pare Cochero, Guantanamera, Vamonos Guajira, Picadillo, China Tumbao y Bongo, Family, and A Night in Tunisia, (another great Dizzy selection). From Fathers To Sons - Old School Clave is the most recent production with Edgardo A. Cintron & The Azuca Band. This album is all about heart and soul and its a wonderful tribute to "dads" everywhere. Especially those fathers who were around and who instilled in us a love and appreciation for music, so strong that it continues to shine through everyday of our lives. This gift was passed down From Fathers To Sons". We now pass it to you. Keep it shining!